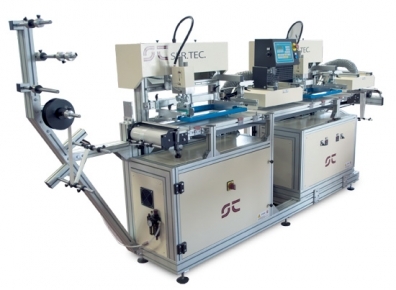 S1 300 Ribbons SPECIAL: automatic screen printing machines for printing on fabric ribbons and plastic. The S1 300 Special is a screen printing machine wich can print from one to four tapes in monochrome or one tapes in duotone. Tapes can be either tissue or syntetic material.